Why Need To Develop A Mobile App For Your Hospital? Like all other sectors which are gaining advantage of advanced mobile technology, health sector is also in the race to gain technology advantage. It is always said that advancement in technology is boon for a human being if it utilized for benefits of them. For such reasons, mobile apps for hospitals is also becoming a boon for people looking for emergency treatment or need assistance of specialty doctors related to their disease. In present times, from multi-specialty hospitals to startup clinic, medical professionals and doctors prefer utilizing smart phones to make their task efficiently. As medical professionals need to get ready for any emergency situation, an efficiently developed medical apps offer best assistance to stay attentive anytime and anywhere. Based on one survey, approximately 52% people prefer smartphone to get health related information such as health insurance, prescription information and more. Around 33% doctors make their prescribing decision using a smartphone. Moreover, 80% of doctors make use of mobile phones and medical apps. It also says that in next five years, mobile app for healthcare plays a key role in the medical practice. The research also says that, the global market of mHealth will exponentially grow and it becomes 59.15 billion USD by the year 2020. Normally, most of smartphone users always prefer digital options for their need of healthcare, but yet only a few healthcare providers offer services using mobile technology. Hence, it becomes an appropriate time for healthcare providers, wellness centers, hospitals and medical professionals to decide to gain technology advantage in order to deliver more efficient healthcare services that also gives them lucrative profits for long terms. In this blog, we would like to highlight important reasons to develop a mobile app for your hospital. All across the globe, there are different types of hospitals available in different areas and cities. Though, there are only a few multi-specialty hospitals in every city, more numbers of small, medium or big size hospitals are available in every city. Hence, it becomes difficult for patients to seek a right place and physician to avail the best treatment. This blog provides useful information in order to develop an innovative mobile app for your hospital and how it efficiently benefits you in enhance your reputation, services and profitability. Normally, in hospitals, there are several tasks which need to handle efficiently by the team of doctors who run the hospital or the hospital management. From admitting a patient to discharge after his/her successful recovery from hospital, there are a number of tasks which need special attention by a team of hospital staff from ward boys to nurses and the doctor. In addition, there are several departments need to handle their task efficiently. Nurses to attend patient as well as keep complete reports of patient right from its daily prescriptions to other medical tests, x-ray reports and other information. Hospital apps for doctors and nurses help them to stay connected and share treatment details of patients instantly. Such apps are very useful when the doctor is out due to any reason and it becomes necessary to treat the patient. With the help of hospital app for the patient, doctor can get all details of patient using an app and provide the right treatment by informing the assistant doctor or nurse. The advantage of medical apps for doctor is also useful when a patient get discharged from the hospital and looking for recovery assistance from a doctor. In such situation, the doctor can find his/her treatment history at their finger touch using an app and provide the best suggestions. Administrative department to allocate rooms, beds to patients as well as keep proper track of when a patient get admitted and when to discharge as well as collect medical insurance documents and payment details. They also need to keep all information of each room and all equipments and other facilities are in order or not. This app helps to streamline all administrative tasks in a trouble-free manner. For women’s hospital, pregnancy apps give several benefits to their patients in offering best treatment. From pre-conception to post-partum, it offers an entire course to guide woman. You can design an app for hospital administration as well as an informative app that guide your patient what to follow and not at different stages of pregnancy. From scheduling appointment to periodic tests or other reports, this app helps doctors to get instant information of their patient just at a touch of their smartphone in case of any emergency. In your hospital, you need to keep stock of medicines, medical equipments, and other instruments essential for operation or surgery or medical treatment. In your hospital medical store, maintaining store inventory becomes easy with mobile app. It helps you to know the all the information about stock help you to give orders of medicines as soon it goes out of stock. You can set alerts, if the stock of any medicines goes below the minimum order level quantity, it shows an alert. Hence, it makes possible to keep your hospital store inventory up-to-date and provide any medicine immediately as and when needed. There are several other types of app you can design such as informative app of your hospital that provides all information of doctors and treatment they offer, their contact information, available time to contact and many more that make it easy for patient to approach concern doctor and get immediate assistance. A hospital app for fitness, a hospital app for diabetes, and many more medical apps related to particular treatment can help doctors to manage their complex and emergency tasks efficiently and productively. Developing a successful mobile app for your hospital need to find an expert mobile app development company who comprehends your app requirement and provide you best app development solution using the right platform and technology. There are several reasons that convinced doctors to develop a mobile app for their hospital as it gives lucrative benefits of its use in terms of streamline complex work processes, improve services and increase productivity. 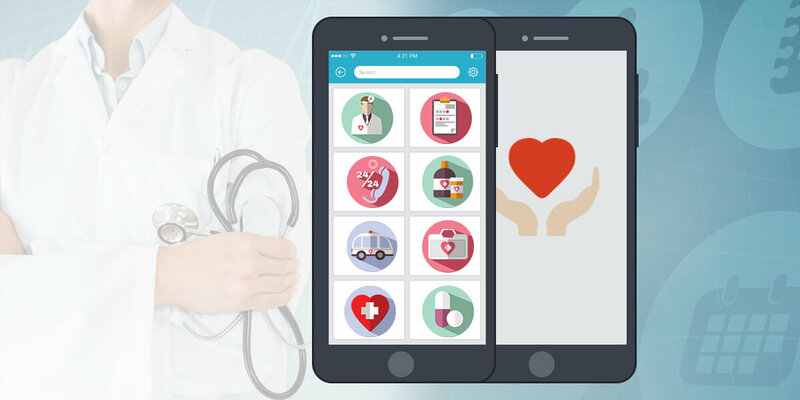 Developing a mobile app for hospital from an experienced mobile app development company provide you right suggestion to design a successful app for your hospital that gives long-lasting benefits to your business. It also assists you in improving your services, thus it also plays important role in increase your reputation. Mehul Rajput is a CEO and Co-founder of Mindinventory, a leading web and mobile app development company specialized in android and iOS app development. Delivering best solutions to its local and global clients it leads to better business all around.